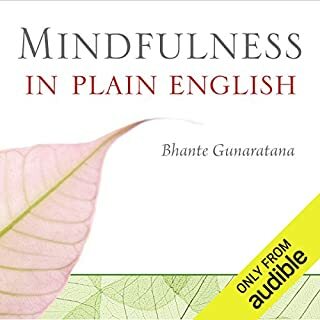 In the same engaging style that has endeared him to listeners of Mindfulness in Plain English, Bhante Gunaratana delves deeply into each step of the Buddha's most profound teaching on bringing an end to suffering: the noble eightfold path. 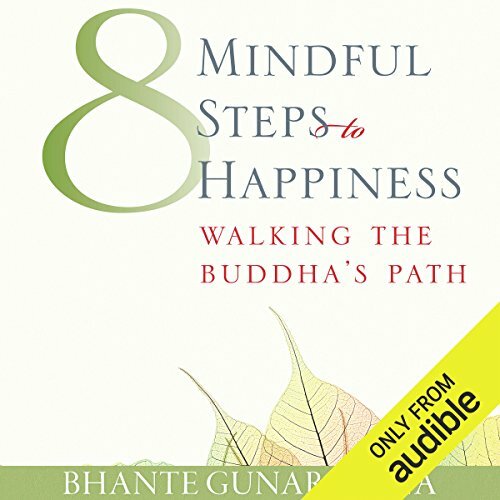 With generous and specific advice, Eight Mindful Steps to Happiness offers skillful ways to handle anger, to find right livelihood, and to cultivate loving-friendliness in relationships with parents, children, and partners, as well as tools to overcome all the mental hindrances that prevent happiness. 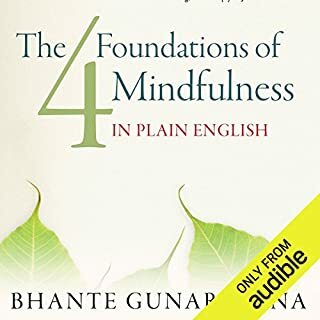 Whether you are an experienced meditator or someone who's only just beginning, this gentle and down-to-earth guide will help you bring the heart of the Buddha's teachings into every aspect of your life. 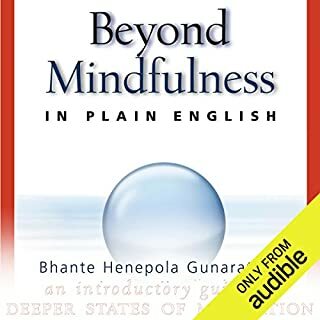 ©2001 Henepola Gunaratana (P)2016 Audible, Inc. 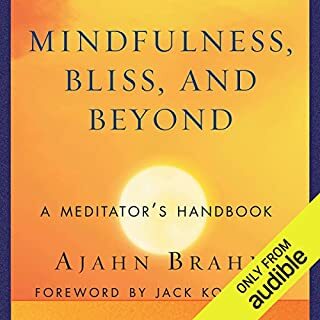 I've read many texts and listened to many books on meditation and Buddhism and this one was one of the easiest to understand and very clear in it's message. A great first time listen for someone just starting a meditation practice or learning what Buddhism is all about. Loved it I want to listen to it over and over. I think I can improve myself and become happier using his teachings. I found this book to be very informative and well written. 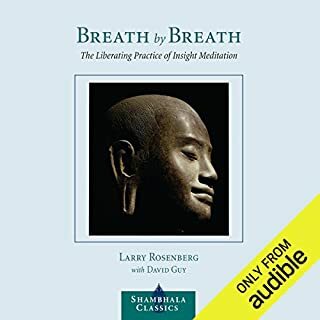 I suggest it to anyone who is truly interested in Buddhism or merely trying to become more skillful at practicing mindfulness. Best book on Buddhism I have read so far. This work methodically covers the most important aspects of Buddhism as a practice. The 8 Fold Path is HOW to reduce and even end suffering. This is the Buddha's whole point of what it is that you need to do. It's fine if you don't agree with some of the more extreme ideas in the book. You don't have to. Anything you choose to take from it will help. really great and inspiring read. i would definitely recommend this book to anyone seeking the truth. 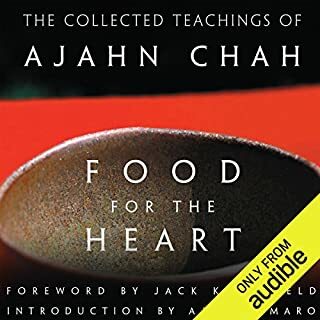 Not everyone would appreciate this book, but if you’re seeking, and if you’re open to the Buddhist ideas, this book has a lot to offer. Practical, very insightful, lots of wisdom. Bhante Gunaratana is one of the world’s great Dhamma teachers. His explanations of each step are concise and based upon his long years as a practitioner and teacher. His intellectual honesty and ability to help the listener to focus are magnificent. I am most grateful to Bhante. The narration was excellent. I think I'm going to return this. This is not a bad book or recording. But I just listened to the author say that what we are striving for is a lack of attachment to anything, which included (and he said this) houses, families, schools, medical insurance, hospitals, good roads. And he says one who wants to remain attached to these things does not have the state of mind it takes to attain permanent bliss. This person who wants these things has not understood the Buddha's first or second truth. (He says this an hour and two minutes into the book). I am a westerner. So wanting these things is not an option for me. I want them. I am not living in a monastery. There are books out there that take this into account, mostly along the lines of secular Buddhism, so I will listen to those.